"Back in April of this year, while preparing for the re-release of the three VERVE/MGM Velvet Underground albums, a cache of uncatalogued VU tapes was accidentally discovered. Upon further examination, many of these taps proved to be the missing masters recorded by the VU for their 'fourth' VERVE/MGM album, an album that was never released. Studio time was immediately booked, and with the help of engineer Michael Barbiero and staff, each master was meticulously transferred, and subsequently, reviewed. In June, ten tracks were chosen for release and mixing commenced at MediaSound Studios. It soon became apparent that the vitality of the band captured on tape, coupled with today's technical capabilities, was to produce dynaimc results. 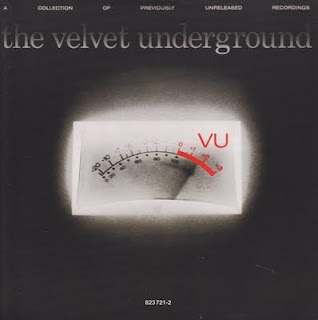 Although this album is not the oft-mentioned 'Great Lost Velvet Underground album,' it is, however, a collection of tracks recorded between February, 1968 and September, 1969 -- a period of heightened artisic development for the VU. A period previously unavailable on record." Ladies and gentlemen, for your listening pleasure, The Velvet Underground.